For the past three years, the most meaningful change to the iPhone has been the size of its screen. After years of sticking with a 3.5-inch display and watching Android-powered competitors bite off a piece of the market with ever-larger screens, Apple relented ever-so-slightly with the 4-inch iPhone 5 and 5S, and then finally gave in to obvious trends with the much larger 4.7-inch iPhone 6 and massive 5.5-inch iPhone 6 Plus. Big screens are all people really wanted in a phone; when they couldn’t get big screens from Apple, they bought big screens from Samsung, and when Apple finally put out big screens, Samsung’s sales tanked. ALMOST DESIGNED TO BE PUT IN A CASE These are welcome tweaks, but it’s too bad that the iPhone 6 design remains Apple’s least elegant design since the plastic blob of the iPhone 3G and 3GS, thanks to its slippery shape, camera bulge, and weird antenna lines. The 6S Plus feels particularly surfboard-y in comparison to the Galaxy Note 5, LG G4, and Moto X, which all manage large screens in less ungainly packages. You get your choice of silver, space gray, gold, and now a very pink rose gold iPhone, but it feels like these phones were designed to be put in cases no matter what color they are. 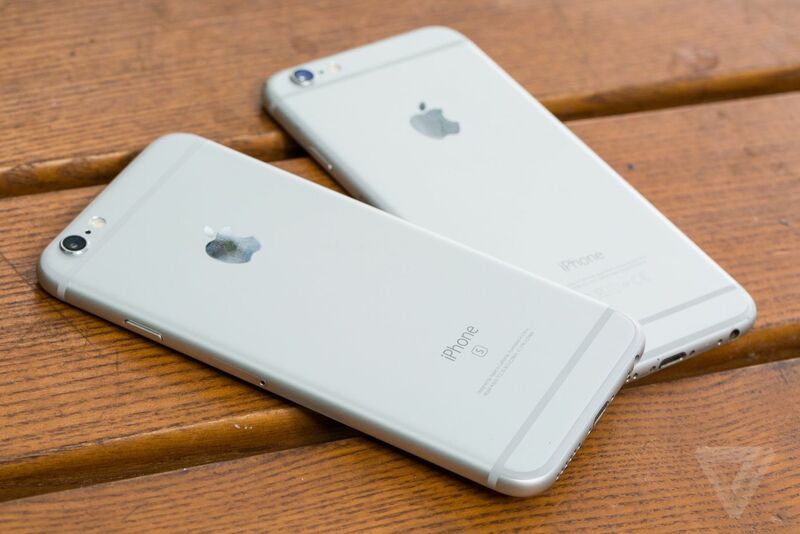 Both the iPhone 6S and 6S Plus are both tangibly heavier and thicker than their predecessors. If you’ve spent any time handling the older models you will feel the added heft. It’s nothing major — I actually think the extra weight makes the 6S feel more substantial and easier to hold than the whoops-there-it-goes iPhone 6 — and what you get in return promises to make up for it. 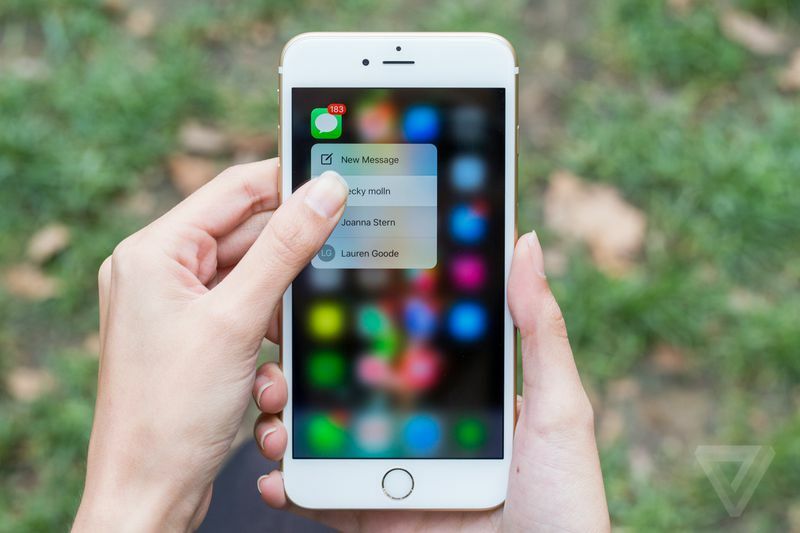 That preview-and-open dynamic — what Apple calls peek and pop — is really the key to 3D Touch. It does far more than just turning pixels into buttons — it turns them into dynamic objects. The entire system is the biggest step along a path Apple’s been on since iOS 7 — the idea that the interface should be about abstract layers of information, not simulations of physical objects. It’s not some insane lightning bolt of inspiration; Google is doing something very similar with Material Design, and Microsoft has been sliding things all over the screen since someone was drunk enough to approve the name “Windows Phone 7 Series.” But 3D Touch is by far the most aggressive and interesting step in this direction anyone has ever taken. When you push down on the screen, the distance between them changes, and the phone can do things based on how hard you press, with precise bits of haptic feedback from Apple’s Taptic Engine vibration system. Apple won’t say exactly how many levels of pressure-sensitivity there are, but it’s definitely so many as to feel almost analog, like the interface is reacting in real time to physical pressure — the homescreen blurs in and out in response to how hard you press on an icon, for instance. Perhaps most impressively, 3D Touch has accessibility built in — it can be activated by Assistive Touch, blind users can have VoiceOver read peek previews and quick action menus, and the force needed to activate it can be set to light, medium, or firm. This sort of impossibly tight integration of hardware and software is what Apple does best, and it is ridiculously impressive in action. In actual use, though, it’s kind of easy to forget about 3D Touch, because only a selection of Apple’s apps support it right now. It’s kind of like right click on OS X — the interface is designed to be used without it, but once you realize it’s there, it’s incredibly useful, and you want every app to make solid, consistent use of it. In that sense, 3D Touch won’t really be that useful or revolutionary until third parties really grab onto it. It’s a feature that will be most useful to power users at first, and Apple’s apps and services are the weakest part of the iPhone if you’re a power user. Google’s Inbox and Microsoft’s Outlook are light years ahead of Apple’s Mail app, Sunrise and Fantastical are far superior to Calendar, and Google Maps still wipes the floor with Apple Maps. If you’re like me and the first thing you do with a new iPhone is hide all of Apple’s apps away in a folder, it’s going to be a minute before 3D Touch really does anything for you. That also means what 3D Touch actually does in various apps will be all over the map as developers try it out, because there aren’t a ton of rules for how anyone should use it outside of the peek and pop and quick action APIs. It’s a wild new interface paradigm with a ton of potential, and that means developers are going to have to experiment before settling on a common language. I think that process is going to be really fun, just like developers using multitouch for the first few years was really fun. Even still, 3D Touch already feels much more natural than Force Touch on the Apple Watch, and companies like Pinterest and Instagram and Dropbox are already showing off interesting demos. (I’m sure 3D Touch-enabled apps will be in the App Store the second the phone actually goes on sale.) And the potential for pressure-sensitive gaming is off the charts; 3D Touch might make gaming on a iPhone something much more interesting than furiously swiping on the screen.5 There are a lot of things that have to fall into place, but 3D Touch overall feels like one of those ideas that only Apple can push into the mainstream — if Samsung or Huawei had delivered a similar feature, it would almost certainly be a gimmick. But the foundation for 3D Touch is solid and well-considered, and it’s easy to see how the latent potential can turn into reality. 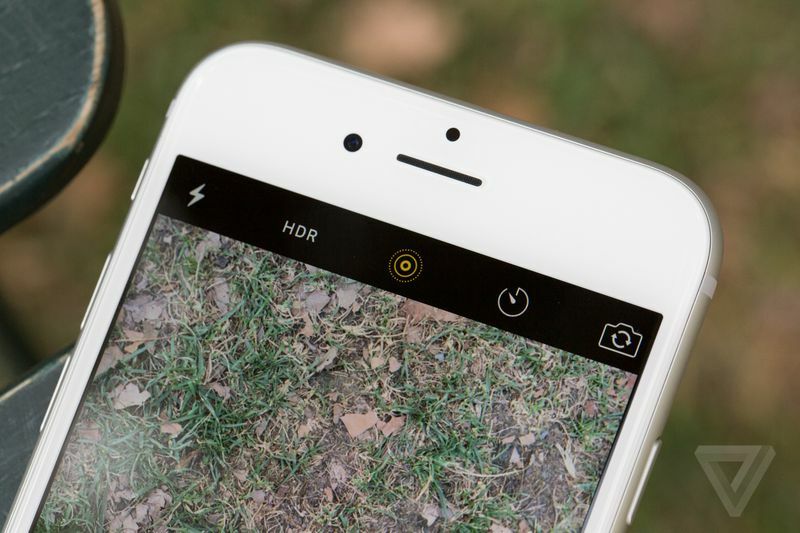 The only other changes to the iPhone 6S really and truly worth discussing in detail are the cameras. I’ve been interested in switching to Android for the better part of a year now, but there isn’t a single Android phone that consistently takes great photos the way the iPhone does. Some take great photos — the Galaxy S6 and Note 6, LG G4, and Sony Xperia Z4 all have excellent cameras — but it’s the consistency that matters. The iPhone takes excellent, realistic photos in virtually every situation, and no other phone comes close. Apple’s also taken a great idea from Snapchat and improved it with a feature called Retina Flash: the entire screen blinks white when you take a selfie in low light, serving as a makeshift flash. Apple says it’s tuned the screen backlight to go three times brighter than normal when it’s flashing in this way, and it even looks at the color temperature of the scene to color-correct the screen flash in the same way the two-color LED flash on the rear of the phone works. It’s neat, and it works well. You will be the monster taking selfies with a flashing white screen in the bar, but you’ll be the monster with usable pictures the next day. BOTH CAMERAS HAVE MORE MEGAPIXELS, BUT IT’S THE ONE IN THE FRONT THAT MATTERS MOREThe resolution of the rear camera is now 12 megapixels, up from 8, and it can shoot 4K video. This is a pretty mild update. The actual photos from the iPhone 6S aren’t dramatically better than the photos from the iPhone 6 — they’re better, but not so much intensely better than you’ll notice a difference if you’re just sharing them on Facebook. I noticed slightly better macro performance and slightly better bokeh in a few shots, but Apple’s been taking iPhone 6 photos and blowing them up to put on billboards for a year, so the bar is pretty damn high. Let’s put it this way: the iPhone 6S is the best camera most people will ever own, but it’s not going to keep anyone out of the market for a mirrorless rig. iPhone 6S Plus on the left, 6 Plus on the right. Images cropped and aligned. Both cameras can take Apple’s new Live Photos, which are fun, if a little gimmicky. Nokia and HTC have released similar ideas, but Apple’s implementation is the most seamless: when you press the shutter button, you’ll see a little Live indicator pop up, letting you know that the phone is recording 1.5 seconds of action before and after your shot. Later, in your camera roll, you can 3D Touch the photo to play back the short audio and video clip you’ve captured — the shots animate slightly as you swipe through the camera roll to indicate which shots are live photos. It’s neat, but you’ve got to remember to keep your camera pointed at your subject after you’ve taken a photo — I have a lot of Live photos that are mostly me putting the phone back in my pocket. Apple says a forthcoming update will sense when you’re moving the phone and cut off the Live recording, which will be a welcome fix. And I found that I needed to have the camera roll open for a few moments before the system started recognizing my Live Photos by animating them slightly as I swiped through my shots; a little visual indicator would be much more useful. Apple CEO Tim Cook says he thinks Live Photos will be “a new form,” but more people will have to be able to watch them before they can blossom as an entire kind of media. Right now, you can share Live Photos with anyone using iOS 9, WatchOS 2, and OS X El Capitan. Apple also says it’ll put out an API to let Live Photos work in third-party apps and on the web (Instagram is already signed up), but I’m not really holding my breath for them to take off. If you want to record short videos, apps like Vine and Instagram already work great, and work everywhere, including Android phones.8HAVING EVERY PHOTO INCLUDE A SHORT VIDEO SEEMS LIKE OVERKILL And Live Photos take up double the space of regular photos, so having every single photo you take include a short video seems like major overkill. I would play with it for a while then flip it off and turn it on when you need it. (It would be super rad if the iPhone intelligently turned Live Photos on when the camera detected a face in the scene and turned it off when it didn’t. I have too many Live Photos of whiteboards, and not enough of peopleIt shouldn’t be any surprise that 4K video looks great — it’s way higher resolution than what you’re used to from a phone, and Apple is very proud of the fact that the iPhone’s A9 processor can do all of its stabilization and processing magic while shooting 4K. It’s not a RED, but it’s not too shabby either. 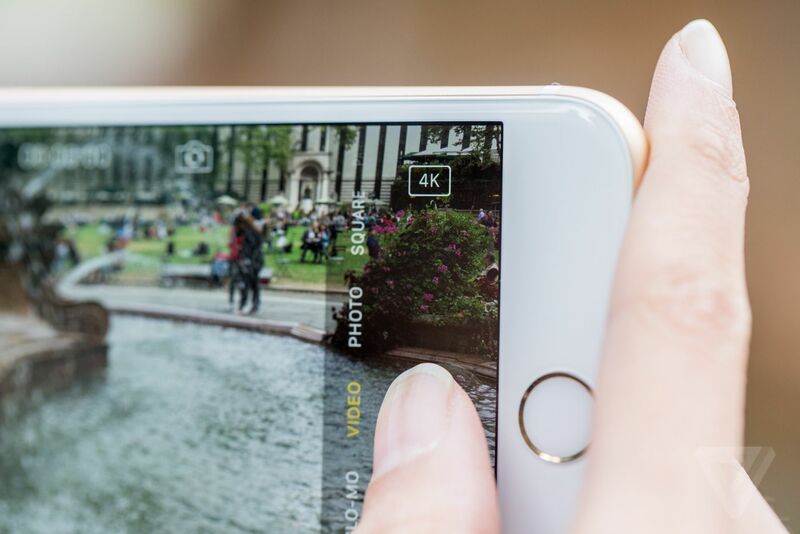 If you’re a video nerd, you’re going to have fun with it — the 6S is even powerful enough to edit 4K video in iMovie. But 4K video isn’t actually turned on by default — you have to very deliberately flip it on. In fact, Apple’s taken resolution settings entirely out of the camera app and moved them into the Settings app, which seems awfully like the company doesn’t want people with the 16GB iPhone 6S to easily flip the video camera to the 4K mode that eats up 375MB of space per minute.9That’s probably fair, since most people don’t have 4K TVs or ultra high-res monitors, but between 4K video and Live Photos that eat up double the space of regular photos, it would be better if the richest company in the world took a little loss on its profit margins and sold phones with a reasonable amount of base storage. It all adds up to what seems like a unique inflection point in the history of computing: Apple’s shipping the most powerful processor ever in a smartphone, and it kind of doesn’t matter. The upgrade cycle has gotten so accelerated that by the time developers make full use of the A9, everyone who cares will have a much more powerful phone. That’s kind of crazy and wonderful; it speaks to Apple’s unique ability to push cutting-edge technology out to a huge market in a fairly natural way. This is a weird year to be reviewing an S iPhone, because this is the year that the two-year phone contract appears to finally be dying out in favor of leasing programs that allow you to get a new phone every year. I know lots of people who are proudly on the S cycle, happy to wait out the excitement of a new iPhone design for the perfected and improved second edition. But Apple and the carriers are making it much easier for us to all pay $27 a month for the rest of our lives to get a new phone every year, obsoleting the entire notion of an S cycle. Now you’re just on the iPhone cycle, and it’s going to be fascinating to watch that reality change how fast Apple and the rest of the industry change their products over time. It’s a new world. THE FUTURE IS HERE. FACE IT WITH A GIGANTIC SCREESo I’m just going to put this out there, and then we can all handle the emotional consequences together: if you are thinking of buying a new phone, and you have anything older than an iPhone 6, you should buy an iPhone 6S Plus. 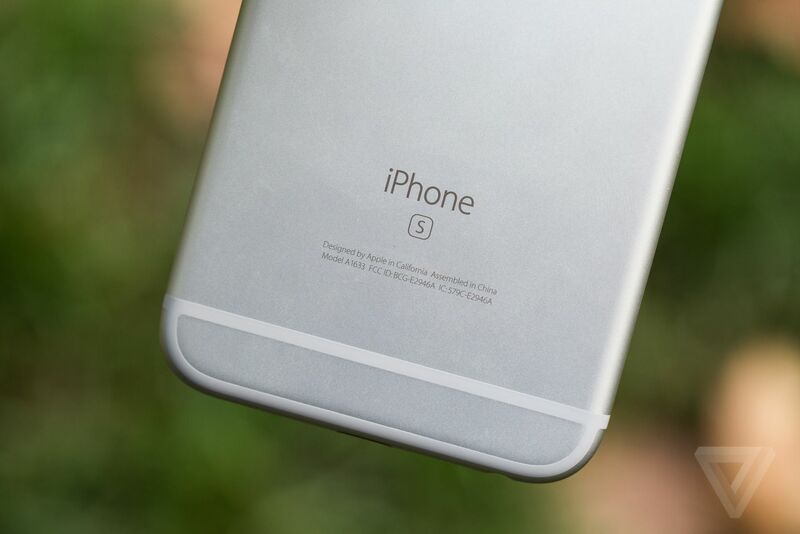 It is the best iPhone ever made, and it is right now the best phone on the market. 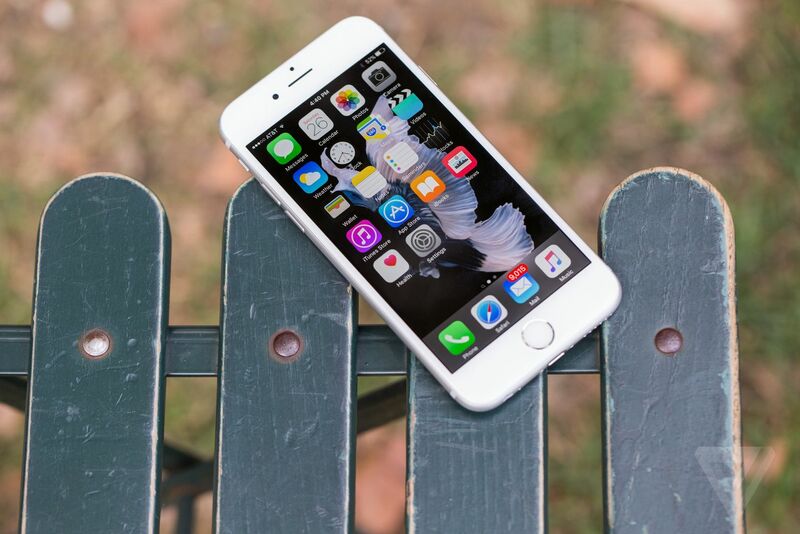 If you’re upgrading from an iPhone 5S or anything older, it will blow your mind. There just aren’t other companies that can roll out a feature like 3D Touch and make it work in a way that suggests the creation of entirely new interface paradigms, and every other phone maker needs to figure out exactly why Apple’s cameras are so consistent before they can really compete. Note that I said the 6S Plus, not the 6S. I am convinced that in another year or so every phone will be the size of the 6S Plus, so if you’re going to jump in, just go all the way. You’ll get a slightly better camera and a little more battery life out of the deal as well. The future is here. You should face it with a gigantic screen. But if you have an iPhone 6 or 6 Plus and you’re not ready to sign up for a yearly phone upgrade program, you might not feel the usual pull to get a new iPhone unless you really want a better front-facing camera. The speed improvements are incremental, the battery life is about the same, and it’ll take a while for developers to really make use of 3D Touch. And by the time that happens, it will probably be time to buy an iPhone 7. It’s an evolutionary model, but with enough new core features to justify an upgrade.